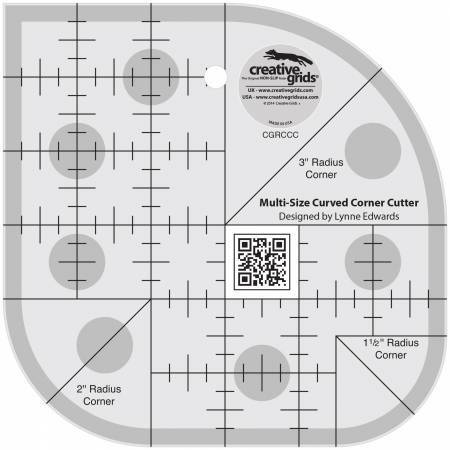 Use this multi-sized curved corner cutter to create roundcorners on your quilts. Choose curves with a radius of1-1/2in, 2in, or 3in. Instructions included. Easy to readblack markings. Exclusive line. Independents only. Made inthe USA.